All of the Intel Celeron processors demonstrate Intel's commitment to the value-priced PC market segment. 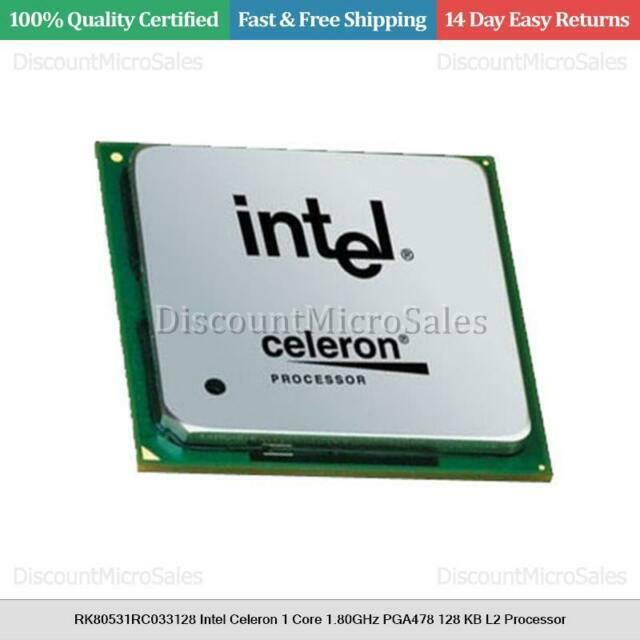 The Intel Celeron processors provide the value customer the capability to affordably get onto the Internet, utilize educational programs, home office software and productivity applications. All of the Intel Celeron processors include an integrated L2 cache, and are built on Intel's advanced CMOS process technology. pros, cheap, they work, very power efficent. cons, poor performance index, not for any decent gaming app. comments; If aunt mauds quicken program needs to run forever without fail to keep her book keeping service up then by all means USE THIS cpu but if you are a C.O.D. junkie or world of warcraft nut then you better pony up some more bucks and get something that runs with the pack. That being said I have never seen one of these cpu's fail in a stock app under normal use,, That speaks volumes for the dependability of this chip.